Moolmans was awarded the open cut contract by Tshipi é Ntle in October 2011. The initial five-year contract was a greenfields opportunity, with Moolmans establishing the entire open cut operation to provide a full mining service for overburden and manganese ore. Due to a downturn in the manganese price in 2016, the contract was reduced to 50 000 BCMs per month. 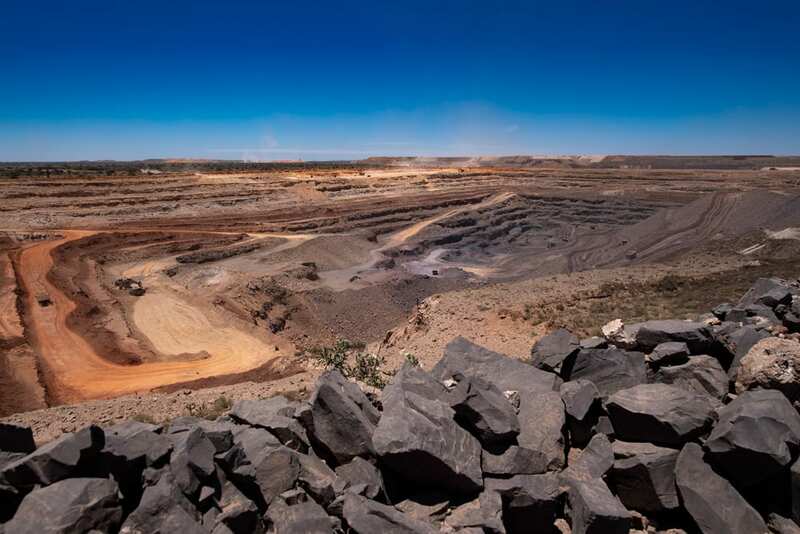 The market has since recovered and Moolmans is once again providing a full mining service, which includes bush clearing, top soil stripping, drilling and blasting, loading and haul of ore and waste. A contract extension for an additional 60 months was negotiated before the end of term of the initial contract, taking mining well into 2020. Moolmans is currently mining in excess of 12 million BCMs per annum, supporting South Africa’s biggest exporter of manganese.